I was interviewed a couple of weeks ago by a journalist who was working on a story about publishers and digital change. He was building something around my “Stay Ahead of the Shift” speech from last year’s Book Expo. We moved along and talked about how the world is indeed, as I said, moving to vertical. 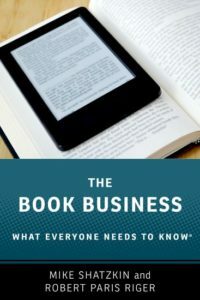 We talked about publishers like Hay House and F+W and others that have extensive email lists of book purchasers that they can target directly, and inexpensively, every time they publish a new book. These are advantages and marketing capabilities that the big general publishers don’t have. I suggested one that I thought was interested in pushing out the company point of view. Didn’t work. “I’ve been trying to get to that person for a week and my calls aren’t being returned,” said the journalist. “A very smart person,” I said. The journalist agreed. It tells me that big companies are in the business of acquiring rights, creating products called books, and selling them. They have numbers to meet every quarter. 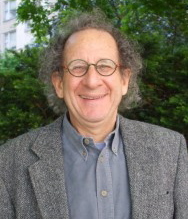 They can’t start switching over their businesses from a model based on selling products to a model based on owning communities just because Mike Shatzkin says that’s the future. “How would we monetize that?” they asked. So they said “thank you very much” and moved on. They apparently made the (perfectly rational) decision to keep extracting cash from the book clubs until they couldn’t anymore and then sell them, if they could. If you owned a blacksmith shop in 1910, you might not want to invest in developing an auto mechanic’s capabilities just because you could see it coming. You might want to just pull out your blacksmith profits and go into another line of work. Or put the money in a bank. At about the same time, the owners of the Atlantic Monthly magazine asked me for thoughts about a web strategy. “What are you most known for?” I asked. “Publishing great writing,” they said. “And who are your top competitors?” I asked. “The New Yorker and Harper’s,” they replied. “Then my advice would be to partner with the two of them and create a web community dedicated to great writing.” That advice also went no further. Looking back on both of those recommendations, I recognize how hard it would have been to follow them. But imagine there were a Hunting and Fishing community that had been built on the backs of the hundreds of thousands of names BOMC had a decade ago. Think you could sell some red checkered jackets and fishing tackle through it now? And in this age of diminishing reviewers and proliferating content requiring evaluation for consumers of quality literature, do you think my Atlantic-New Yorker-Harper combo community would have some real power today that could be turned into money? I do. I see the big publishers developing vertical presences in the few areas where they have enough of a content flow to attempt it: books for kids and teens and the genres, particularly romance and science fiction. And they’re leaving just about all the others to upstarts who are slowly and methodically building their presences in cooking (book publisher Harvard Common Press and web sites like Cookstr and Serious Eats), mind body spirit (Hay House), sustainable living (Chelsea Green), crafts (F+W and C & T, among others) and the list will just continue to get longer. General trade publishers will soon find themselves handicapped trying to sell anything except the most challenging books: the sure-to-be-big ones that cost a fortune to sign and the fiction, memoirs, hot current topics, and other writing that is the most expensive to promote book by book. And they’re remaining dependent on a very fragile chain of intermediaries. Just as BOMC pursued a strategy that eschewed converting book clubs to communities in favor of squeezing every penny out of the old model, it is also rational for today’s big publishers to pursue a “last man standing” strategy. It will be a very long time before major authors don’t sell lots of print books and they’re going to need a strong organization to print those books and put them on the shelves that are out there. They need a strong organization. But do they need six? Aside from “last standing”, the other alternative to my “multi-niche development” suggestion is to convert from a rights-acquiring publisher to a service organization. HarperCollins seems to be at least exploring the development of that alternative. We have had remarkable stability among big publishers since Bertelsmann acquired Random House in 1999. There are reasons for the owners of every one of today’s players to sustain their present operations for the greater good of the larger organization. But would a 10% reduction in the number of bookstores in the US change their mind? How about a 25% reduction? How many years do you think it will be before we find out? I’d say no more than five, and it could be two. I am addressing UK publishers at the Annual General Meeting of the Publishers Association at the end of April. I’m taking another look at the Shift speech to try to re-cast the advice for trade publishers to make it more “followable.” One thing for them is to start thinking about the day when they can sell ebooks globally and, in effect, get distribution in the US market without going through a US publisher. On the one hand, why should they care, since they’re all global companies anyway? On the other hand, we know they do care because the UK publishers have been on a pretty successful crusade to convert Europe from an open market where US and UK editions compete to one that is closed to US entries. I suspect that as ebooks grow to and past a quarter of sales over the next few years, UK publishers will be able to see the virtue in a less rigid territorial regime.